The Best Experience? : Is There A Problem Here? : The Best Experience? 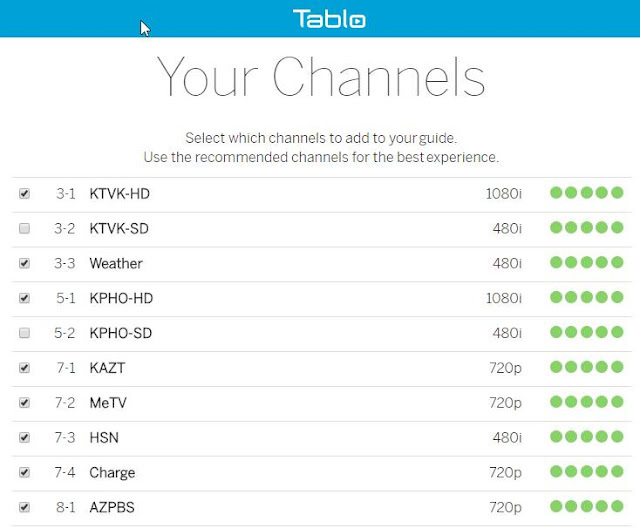 My Tablo DVR says to "use the recommended channels for the best experience". * Slow down the system supporting the program guide for channels I never watch? * Record programs from Spanish language channels when I want them in English? * Record programs from weak signal channels instead of channels with strong signals that provide the same programming? * Record programs from SD versions of channels when HD is available? How about I not let software that knows little about by desires tell me what is best for me?